Everyone loves chocolate… and so do I ! 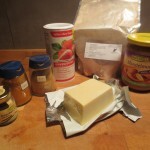 As I love to understand the various health aspects of food that we eat, I was curious in making a healthy chocolate. Of course I am not the first person to discover this. Nevertheless, it took me some time to experiment and find the proper resources that helped me understand the process of making chocolate. So, I would like to share this information. This is why we will need the tempering process as described below. 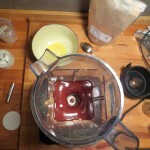 Use a coffee grinder or a small blender to grind the xylit. Xylit crystals will not dissolve easily in cacao butter, so grinding the will spread the sweet taste of xylit well in the chocolate. 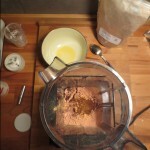 The easiest way to do this is to but a bowl with cacao butter into a bowl with warm water (it should not be to hot). 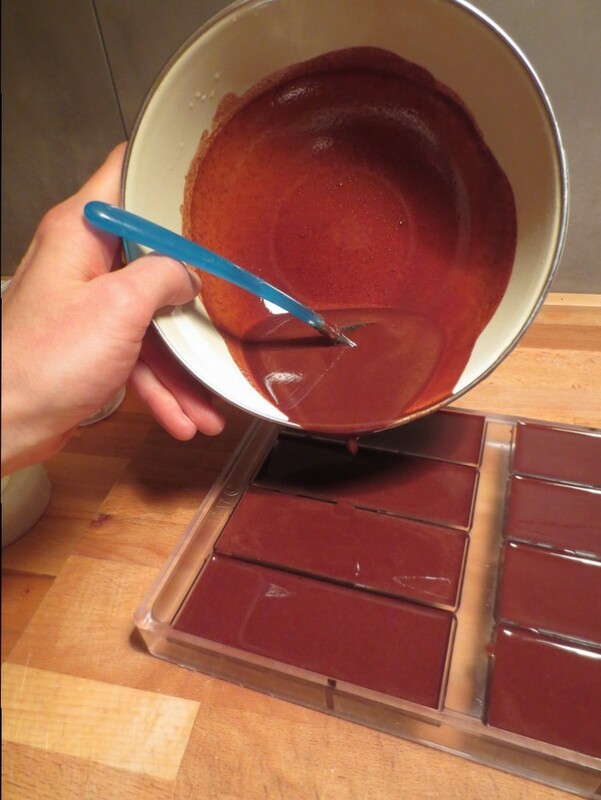 Monitor the temperature (best with a infrared thermometer) until the cacao butter has reached approximately 43°C. 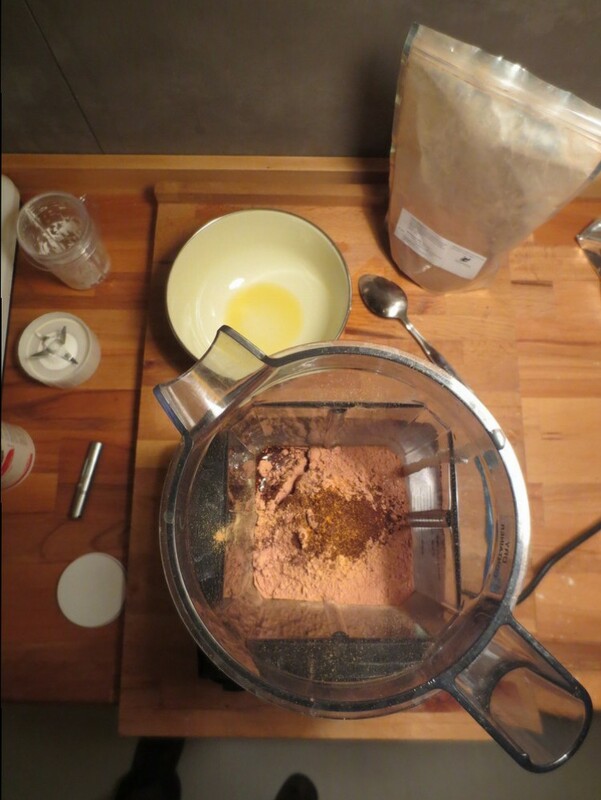 This way we make sure that no ingredients of the cacao butter will be denatured by heat. 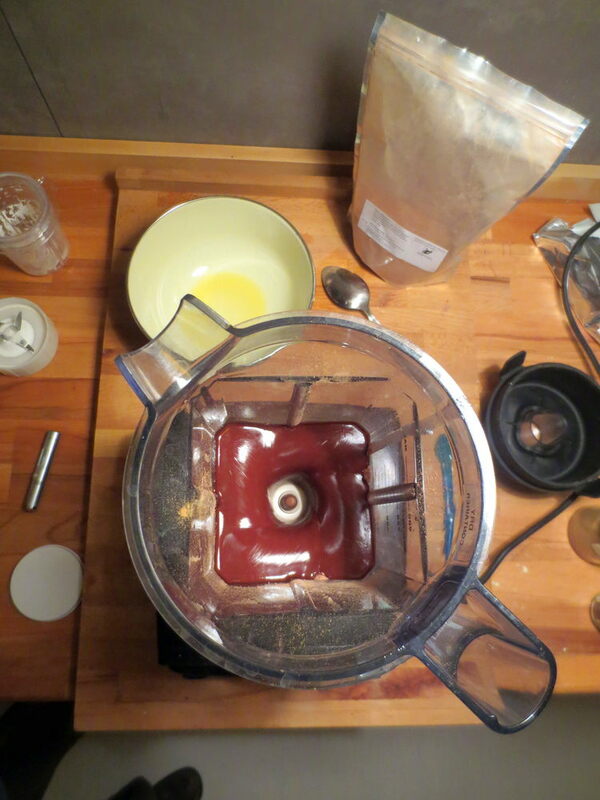 Now it is time to blend all ingredients into a nice dark chocolate mass. 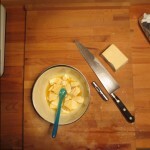 I like to use a blender on a small speed level. 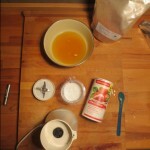 Blending helps for building up many small crystal seeds. These little seeds will then later help to build up a fine cacao butter crystal structure. 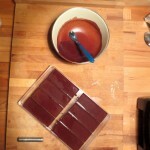 During blending, the chocolate mass will cool down. Let it cool down to about 28°C. Now we want to make sure that our chocolate contains as many type V crystals as possible. 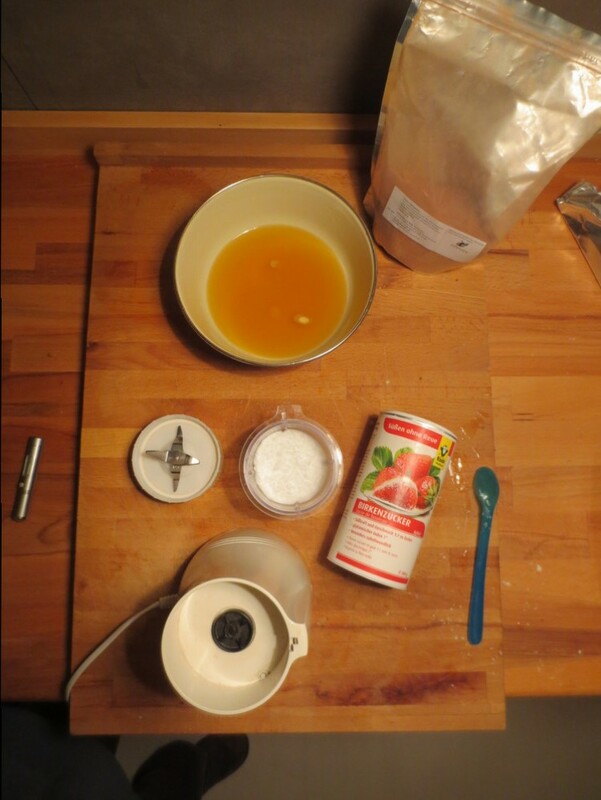 For this we will heat up the mixture up to 32°C and thus we will give more time to the type V crystals to form. 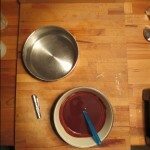 You can heat up the chocolate mass again in a water bath. Make sure that you stay below 32°C while observing carefully the temperature. 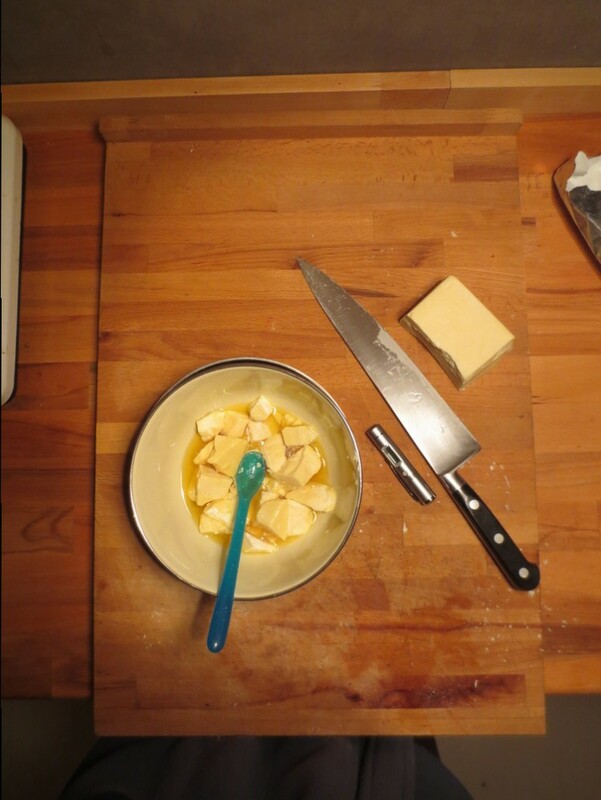 At any time, it is important to keep stirring in order to spread the heat evenly. 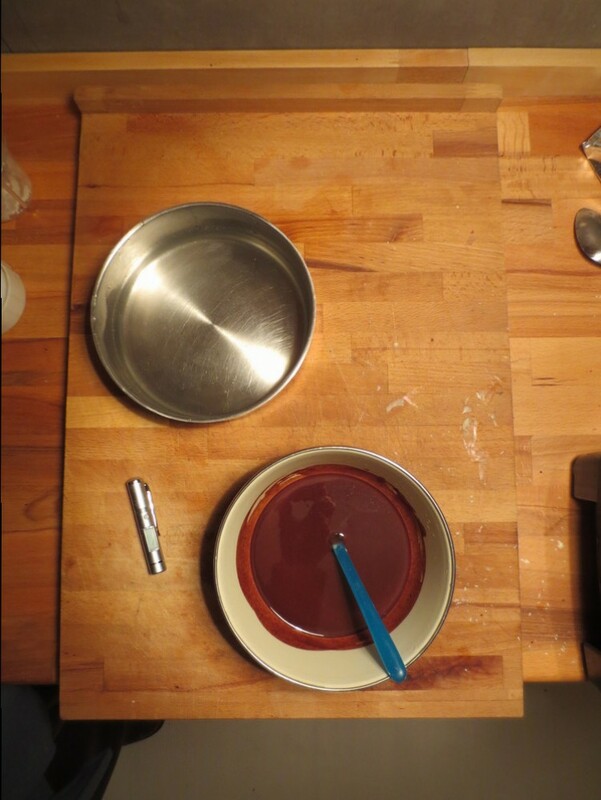 It is now safe to pour the chocolate mass into any mold you like. Let it cool down at room temperature. 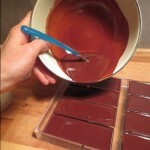 After some time, be amazed about your home made healthy chocolate that has a nice, shiny texture and a firm snap . Enjoy!!! hey! I tried doing this two different ways and i’m not getting grew results not sure what i’m doing wrong…. the second way i tried following more of what you had above. I used a thermometer, double boiler, melted the cacao butter at around 100 degrees F, mixed the butter, cacao powder and maple syrup in the vitamix on low, it cooled down, and then back on the double boiler until it reached 90 F and then into the molds but no fridge this time. 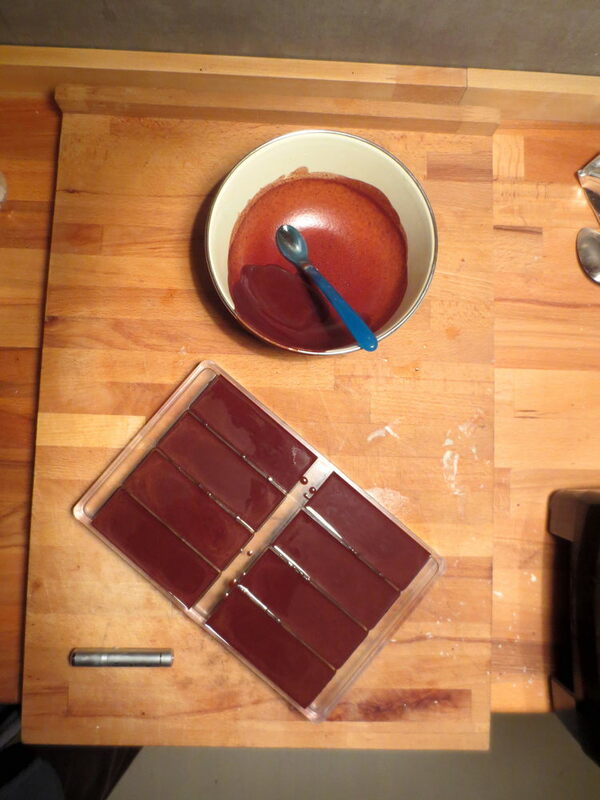 they didn’t get hard like real chocolate and had grey spots on the surface…. Dear Kencole, thanks for you comment! Cooling in the fridge will let various crystals form which have has property a rather low melting temperature. In consequence, you will end up with the result that you described. 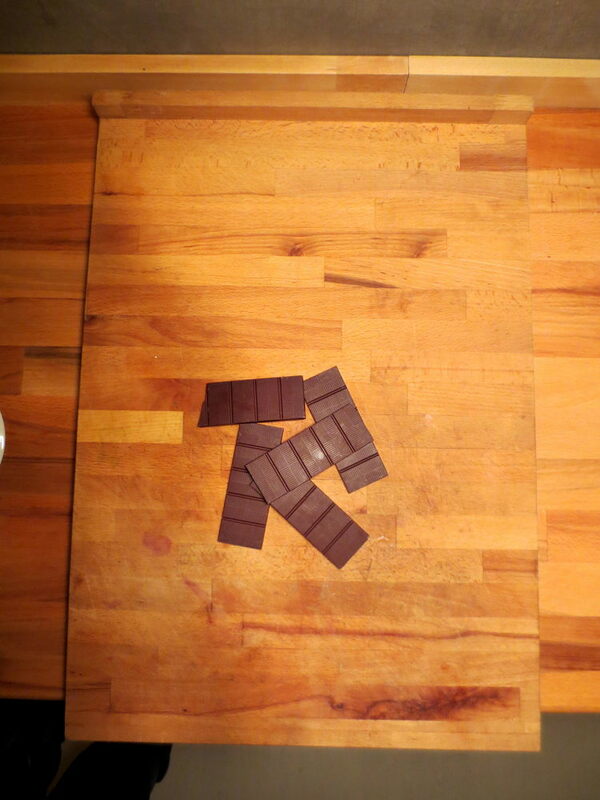 Grey spots indicate that the wrong crystal types grew in your chocolate. It might be an issue with the type of thermometer. Try to use an infrared one and stir steadily while heating to make sure that the temperature spreads out evenly across the chocolate mass. You really have to be precise with heating up the chocolate mass again. If the temperature is too high, it will melt the Type V cacao crystals again and various crystal types will form when cooling down. That is why you should not go higher than 32°C. Stirring also allows many small crystal groups to form. They will act as seeds such that Type V crystal groups will form faster. tl;tr … make sure you follow the precise temperature protocol in order to achieve good results. 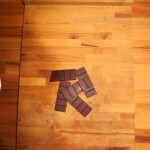 This is the alchemical key for making chocolate. I still think its kind of magic to make chocolate 😉 . 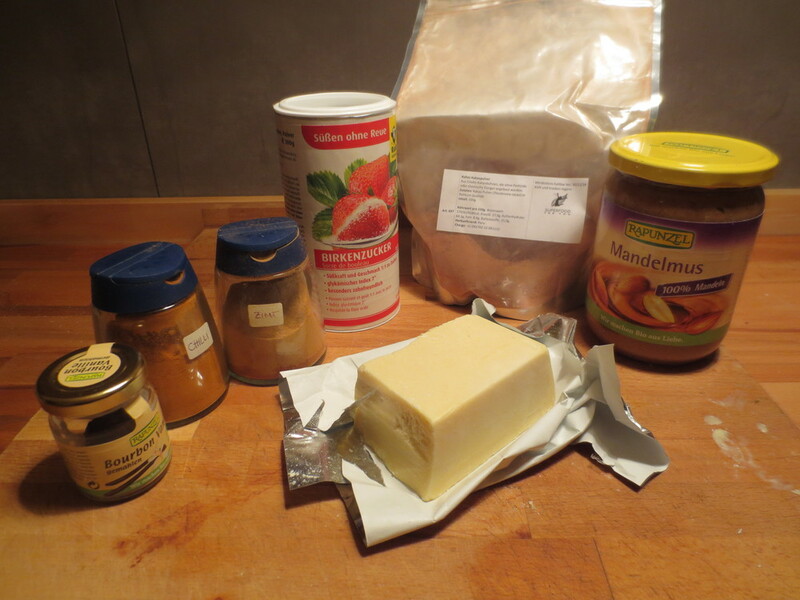 Hi – Can i substitute cacao butter with cocnut butter instead? I just want some nice HARD CACAO! maybe some COCONUT butter too? ?